==The first and famous way to pay your bill offline is by visiting the nearest ENEO commercial center. == Another way to pay your bills offline is by doing it in your banking institutions. You can pay ENEo bills with Smobilpay partners which include banking intuitions like; EB-ACCION, NFC Bank, FODEC, Instant Transfer, NOFIA, REFACMIC, Azire Cooperative Credit Union Ltd (AziCCUL), Kumba central credit Union Ltd (KuCCUL), Ntarinkon credit Union Ltd (NtaCCUL), UNICS PLC,Rural Investment Credit (RIC), Summit Financial Credit, USA Credit and Others. == Your electricity bills can now be paid at any Express Union branch. Express union has a variety of branches in both the rural and urban areas which permit ENEO subscribers to pay their bills with ease. ==Express Exchange is not left out. You can pay your ENEO bill at any Express Exchange counter. Payment is effected upon presentation of your bill and the amount to be paid. == Lastly you can use agents and Bill collectors to pay your bills. Mobile payment is the talk of the day in Cameroon with MTN and Orange in the lead with their Mobile money services. 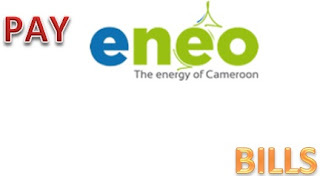 You can conveniently pay your bills from your mobile phone in Cameroon. We have three major ways to pay bills with mobile phones: Express union mobile, Orange Money and MTN mobile Money. You can Pay your bills using a mobile phone with express union in two ways. =send to 8081 and wait for confirmation. ii. By using the Express union(EU) Mobile App on Google Play . Payment here is very easy to go by for clients with an express union mobile account. -Get your receipt at any EU branch. -You should have an active Orange money account (Recommended). -You should know your ENEO contract and bill number. To pay your bill, simply dial #150*3# and ok. Select any of the options below and proceed to payment. Reply with the number that correspond to these options. You can also pay with the mobile money app too. 3. Have an amount greater than the bill you want to pay because you will need to pay for charges. This goes for all electronic payment methods. This online payment method is useful for those having. You will still need your mobile phone to authorize the transaction. This online plat form allows you to pay bills online using a credit card. It is best for Cameroonians in the Diaspora who wish to pay bills for their friends and relatives. You can also pay on this site using pay pal. We have come to the end of this post. We have seen 5 ways offline,3 by mobile and 2 online which all together gives 10 as I promised in the post title. The game changer when it comes to Bill payment in Cameron is smobil Pay which allows ENEO clients to pay bills offline and online through authorized partners. Bills can be paid using authorized partners on mobile phones and computers.